The Peer 2 Peer University (P2PU) is an online community of open study groups for short university-level courses. Think of it as online book clubs for open educational resources. P2PU -- the speakeasy of open education, run by gang stars in pinstripe suits and felt hats (not the other kind with funny teeth). Here is a quick look at the project, the context, and goals for the next year. Feb 17, 2010: P2PU Blog» Blog Archive » P2PU Has Landed! The Peer 2 Peer University announced its second round of free and open online courses today, opening sign-ups for 14 courses dealing in subject areas ranging from Physics to Transformational Art. Some of the courses were offered in the first phase of the pilot which launched last September, but seven are brand new, including “Urban Disaster Risk Management,” “Mashing Up the Open Web,” and “Solve Anything! Building Ideas through Design.” P2PU is also excited to announce its first Portuguese language courses organized by Brasil’s Casa de Cultura Digital, one of which is an introduction to the thinking of Paulo Freire (educational theorist who is author of Pedagogy of the Oppressed). The P2PU community has grown and is excited to have these new courses and their organizers on board. This is a collection of posts from the personal blogs of P2PU community members. Opinions expressed within do not necessarily reflect the official position of P2PU. If you are active in P2PU, and want your blog added, write to shaklev@gmail.com. p2pu shirt | Flickr - Photo Sharing! Visit P2P University's profile on Vimeo. Use Vimeo to share the videos you make with the people you want. Its free to join and really easy to use. This week, P2PU was proud to publish our very first version of the Peer 2 Peer University values. These core values underpin what P2PU does and is. Having them clearly articulated will help us in the development of our strategic plan, with decisions we have to make about the project and our courses, and with the growth of the community. The process of creating these values started after our workshop in Berlin in 2009, and while the process has taken a while, it has been completely open and collaborative, and most members of the P2PU community have contributed to the document in some way. However, they are by no means set in stone! 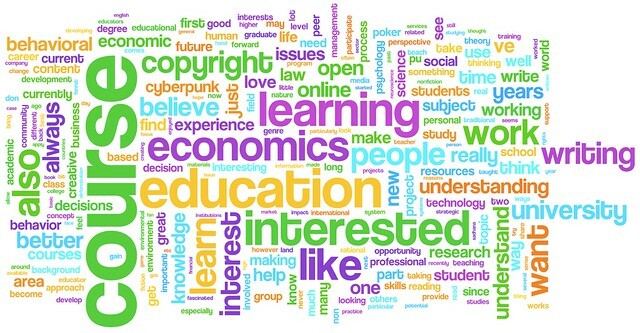 This is a Wordle of the most common words in P2PU applicaitons from cycle 1. The following values and principles are the foundation of P2PU: openness, community, peer learning. We are articulating these values in order to guide our actions, but P2P has always been about doing, and our actions will in turn help us probe and refine these values. classes on mailing lists, the class blog, wiki, and the P2PU platform. The Peer2Peer University is an attempt to create a platform enabling the collaborative peer-based learning mentioned above. I was one of the original co-founders, and I am now part of the council. I especially focus on coordinating research, supporting course organizers, developing the pedagogical model, and partnerships with other organizations.